Galerie Gabriel Rolt presents INVISIBLES, an exhibition of recent paintings and works on paper by Swedish artist Anna Bjerger. This will be Bjerger’s first solo exhibition in The Netherlands. 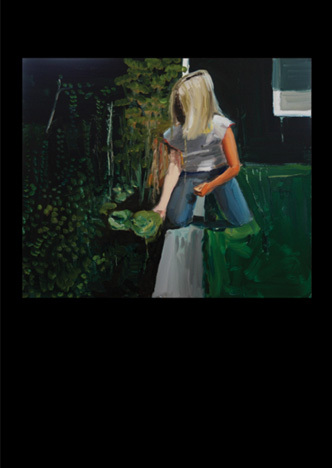 The paintings of Anna Bjerger capture fleeting moments. The viewer is involved in the paintings as covert onlookers. A tense relationship occurs between the actions represented in the painting and our inclusion as a spectator.